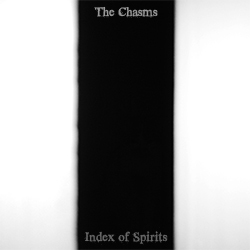 This is the second album by The Chasms who come from that hotbed of talent that is the Isle Of Man. Despite having been making noise for a while the band are yet to play a gig, however this will be put to rights on 20th November when they will take to the stage at Notting Hill Arts Club at a gig to promote a compilation abum called "Broadcast One" which has been lovingly put together by the folks at Dandelion Radio and features "Electrostatic" by The Chasms. Apparently it all starts at 4pm which sounds a little early but it's free entry so well worth a trip if you're in the area. If you want to buy this on CD or perhaps download some of the bands earlier material then the bands official website is the place to be.